Diamond Cuts and Wax Stains » Focus – let’s have one. I hear they’re good. 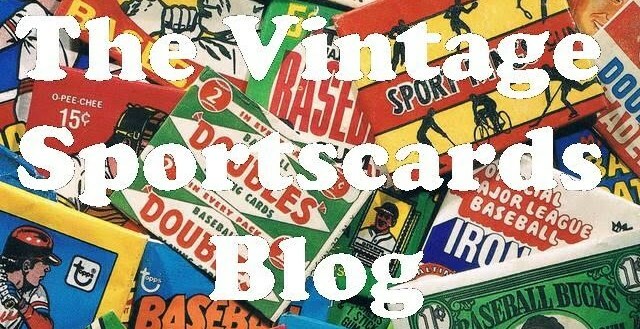 "The Vintage Sportscards Blog is consistently one of my favorite card blogs. Chris' column provides a unique historical perspective and I agree with many of his opinions regarding vintage cards and their facets such as condition and value." "If you don't regularly read Vintage Sports Cards, you should probably consider it. Chris has an AMAZING collection and a really informative blog." "(one of) two of the blogs I visit regularly. If you aren't familiar with them, you should be. They are informative and well written." While I enjoy writing about my own collection, I'm open to the idea of sharing items from other collectors here as well. If you'd like to send a scan for a future article or even write your own article, send me an email through my Profile link and I'll consider it. Any articles written by guest contributors will be properly credited. Please understand, however, that I still reserve the right to edit content for spelling and/or grammar, or to preserve the tone of the blog. Molded in 1956 and sold through Dairy Queen stores that year, Campanella was one of 18 big league players to be included in the promotion. Since half of the players (Campy, Mickey Mantle, Yogi Berra, Larry Doby, Bob Lemon, Eddie Mathews, Stan Musial, Pee Wee Reese and Duke Snider) are Hall of Famers, there is quite an interest in them. 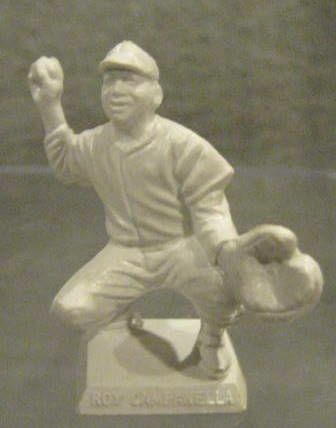 The same 18 players were also featured on statues with cards that year known as Big League Stars. However, while those statues have a bronze color, Dairy Queen statues are white. Also note the presence of Stan Musial, who was absent in Topps' sets through 1958 and wasn't on any Bowman issues after 1953.
your site is so much good and very helpful .we learn many things for your site. i have also a site like your site.